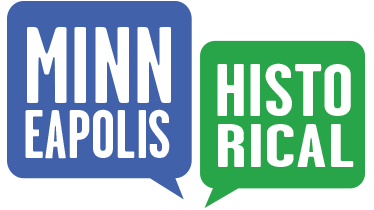 East Hennepin Avenue, originally known as Bay Street, was the town of St. Anthony’s second commercial district, developed after Main Street had become a flourishing center of commerce. 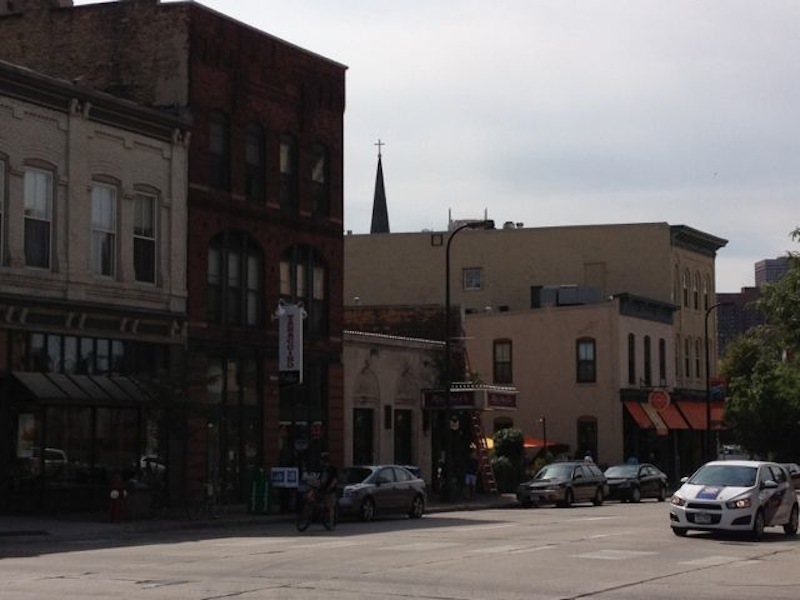 The buildings featured in the 200, 300 and 400 blocks of lower East Hennepin represent a variety of 19th-century styles and uses. 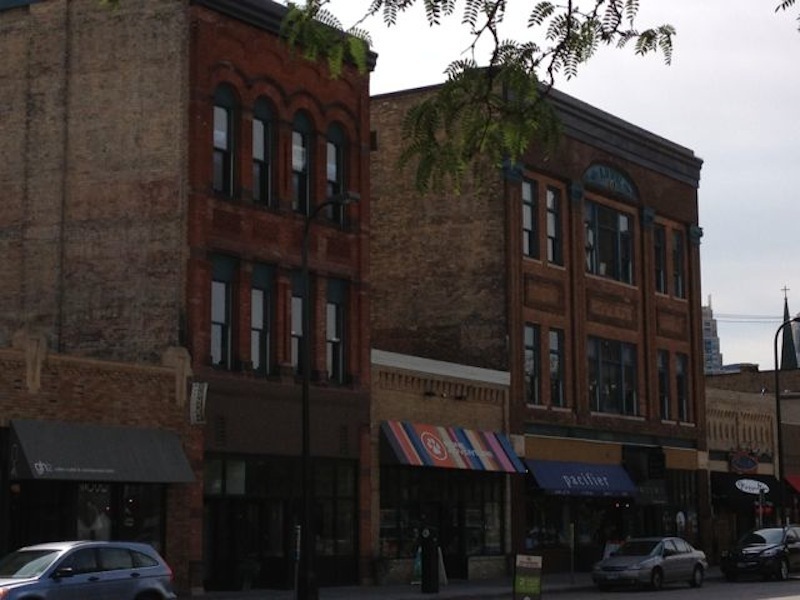 208 East Hennepin is the Andrews Block, a three-story commercial block constructed around 1875. Originally owned by Thomas Andrews, a cousin of John Pillsbury, the block is an excellent example of an Italianate-style commercial building. Segmented arches with projecting hoods cap the upper windows, all of which are grouped together within raised brick pilasters. Elaborate brackets support a cornice. The building’s lower level originally housed Rose Drug, while medical offices occupied the building’s upper floors. 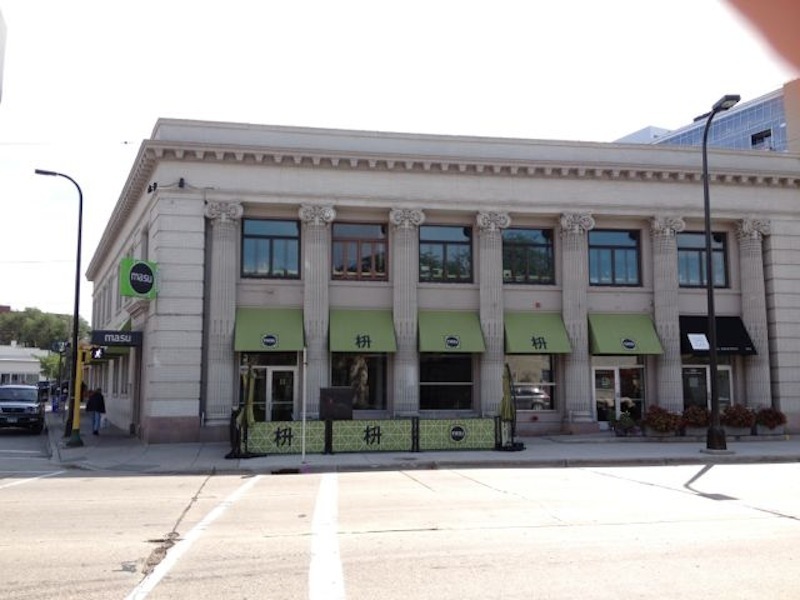 At 314 East Hennepin Avenue is the red brick and brown sandstone Queen Anne-style commercial block Edward Stebbins designed in 1886 for William Glessner’s furniture and undertaking business. As was common practice during this time, furniture makers also made caskets. 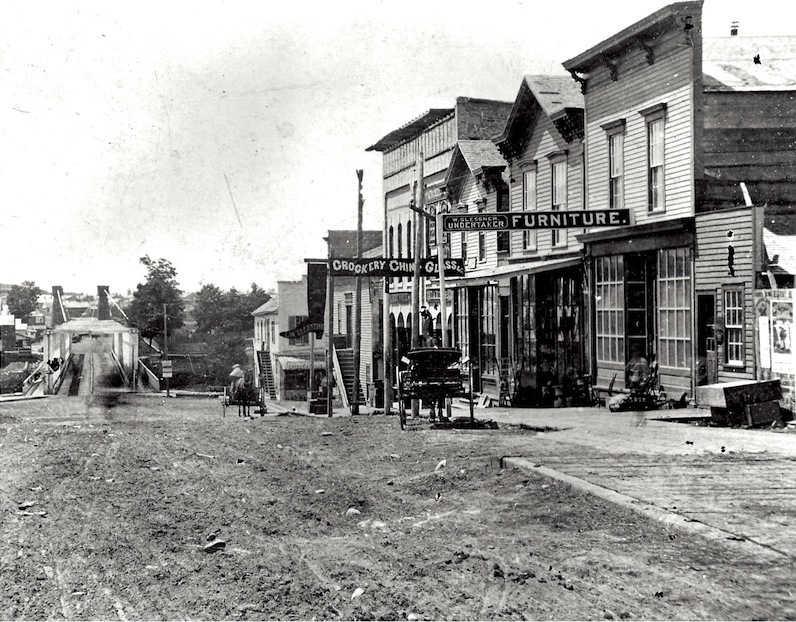 Glessner’s was one of the earliest businesses on lower East Hennepin; prior to the 1870s, the street was mostly vacant lots with only a handful of houses. 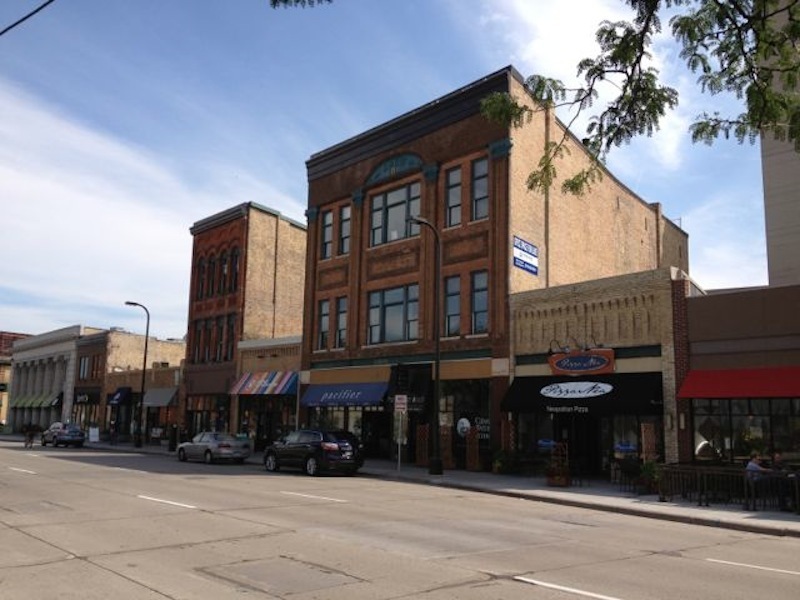 Starting around 1870, the business district gradually expanded from the Mississippi River up East Hennepin, first with two-story wooden storefronts, then with more substantial structures such as this one. 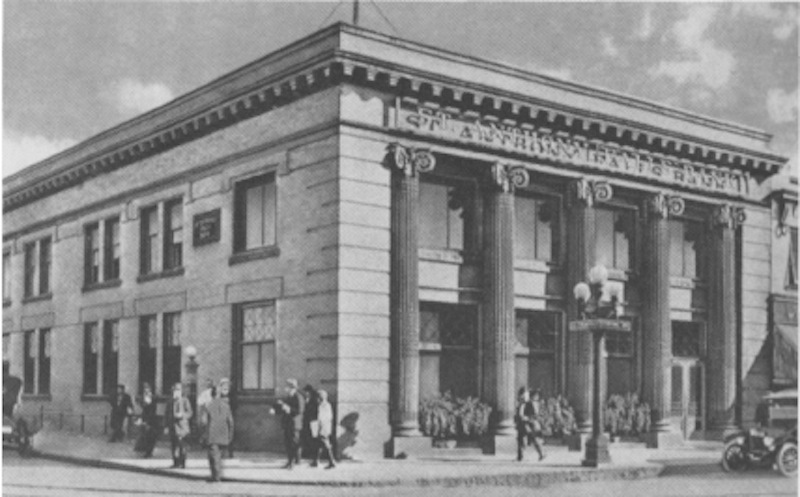 324-28 East Hennepin Avenue was originally the St. Anthony Falls Bank, which was built by contractor Frank McMillan in 1893 for $10,000. In 1905, the building received a new Beaux Arts facade designed by architect William Kenyon. 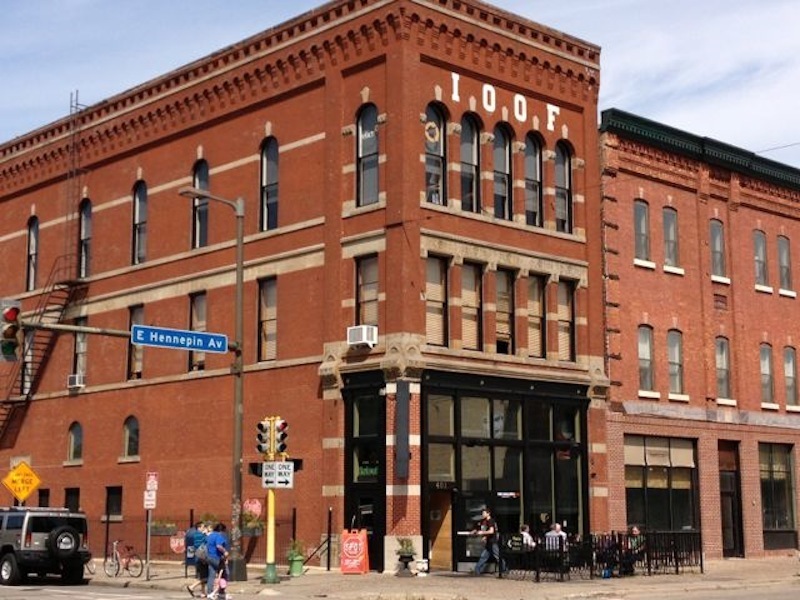 401 East Hennepin Avenue was designed by William Grimshaw in 1891 for the International Order of Odd Fellows (St. Anthony Lodge #40). The building’s stone lintels feature delicate carvings, and wonderful corbelled tables can be seen on the building’s upper stories. 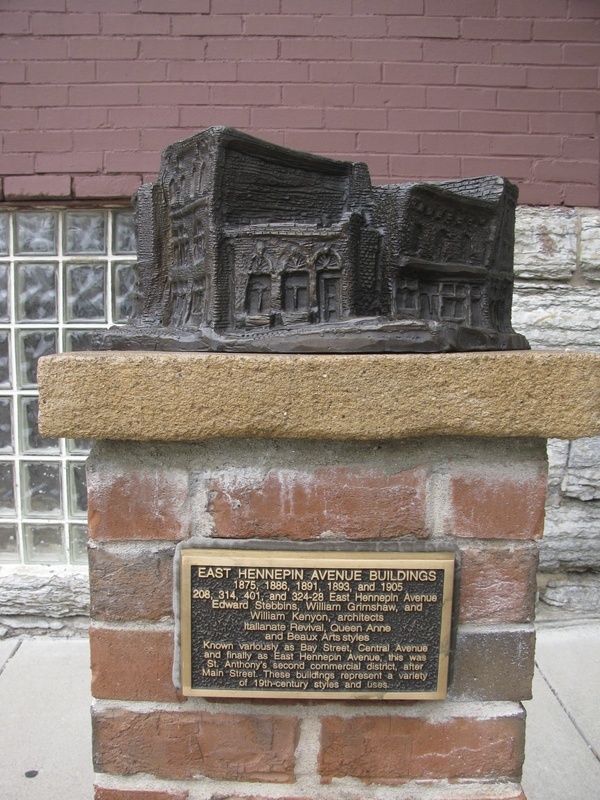 Marcy-Holmes Neighborhood Association, “East Hennepin Avenue Buildings (1875, 1886, 1893, 1905 and 1891),” Minneapolis Historical, accessed April 22, 2019, http://minneapolishistorical.org/items/show/81.